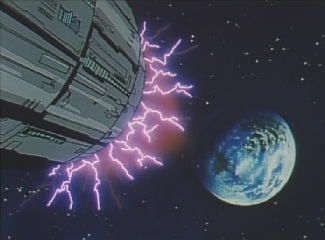 The fortress has reached Earth, bringing with it mass destruction to the planet. 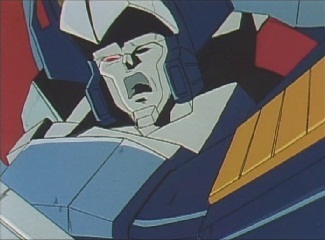 The Cybertrons have fallen one by one, and even now, Star Saber's whereabouts are unknown. 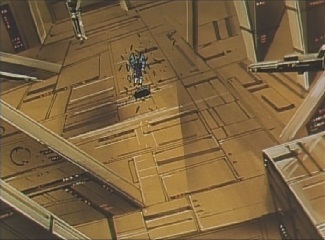 Inside Shuttle Base, the Rescue Team and Multiforce try to contact their Supreme Commander, but Fire cannot get through. Wingwaver says to keep trying. 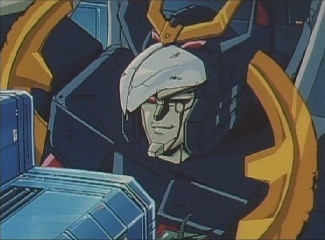 Elsewhere in the base, Gouryuu is revived, and he tells Kakuryuu to bring him any Cybertron, as he has something to discuss. 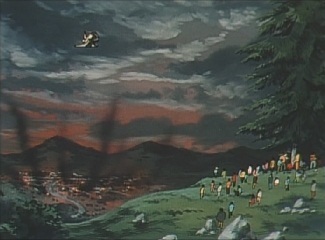 Meanwhile, Fire has some bad news -there is a meteor bomb heading right towards them! Machtackle suggests moving the base, but Wingwaver says they don't have the time. 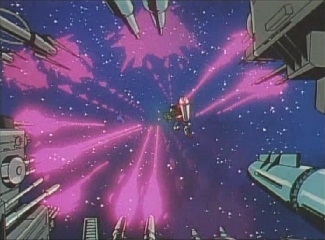 The Multiforce unite into Landcross, who leaves Shuttle Base and heads straight towards the meteor. 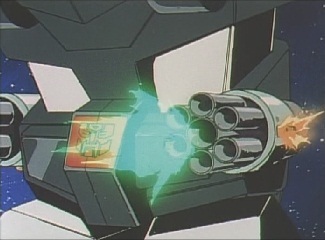 He fires upon it, but it doesn't explode until it is very close to him. 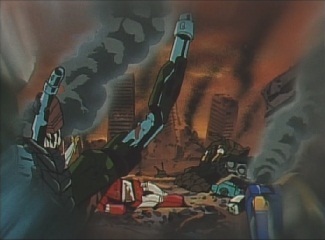 Whilst they've saved the base, the Multiforce are injured by the explosion and come crashing down to Earth. 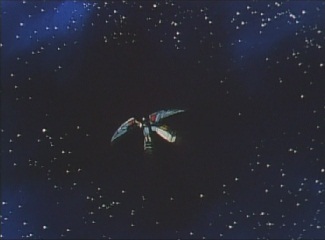 Meanwhile Gouryuu passes Jean a disk, and says that he is giving it to him because Deszaras betrayed the Dinoforce. 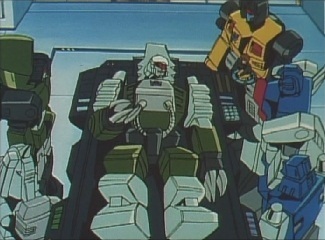 Jean knows what he has to do, but nearly all of the other Cybertrons are injured. 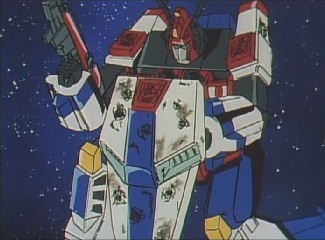 Only he can go on this mission. 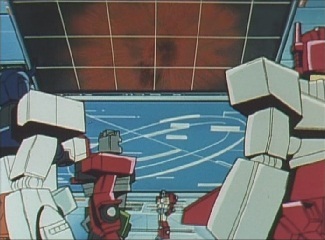 Holi is running around trying to organise some first aid when he sees Jean move out in Illumina II. 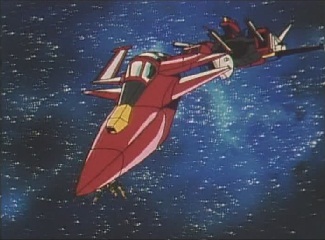 Jean boards Galaxy Shuttle, who takes off and heads into space. 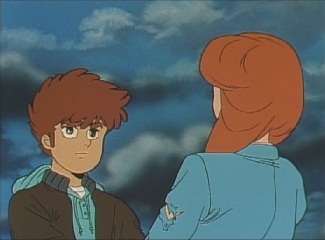 But Holi has also come for the ride, as he wants to know what Jean is doing. 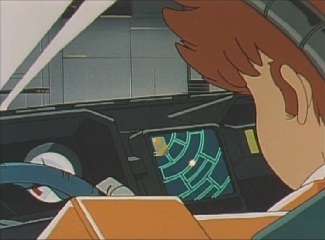 Jean explains that the disk Gouryuu passed to him contains data on how to stop the power source of Deszaras' fortress. 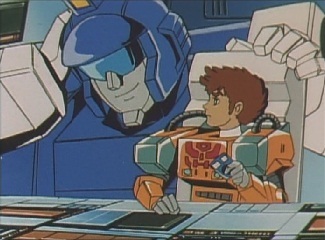 Holi says he'll help, and knows that they'll be risking their lives. 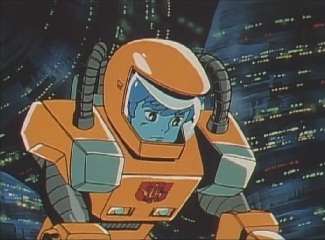 But Jean is OK with it as he's a member of the Cybertrons, too. 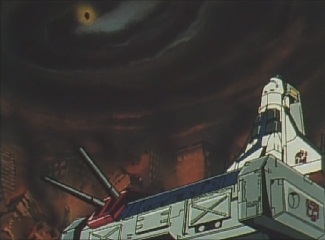 The planet-destroying fortress passes the Moon. 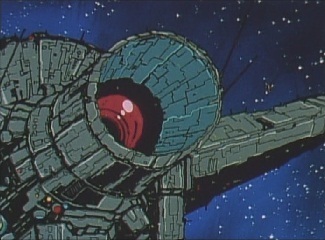 Deszaras stares at the Earth, finding it unbelievable that previous Destron leaders could not conquer this one planet. But he, Deszaras, will be different. 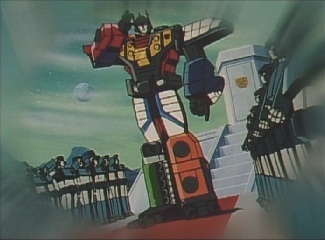 He will wipe the planet out and become the ruler of the universe. 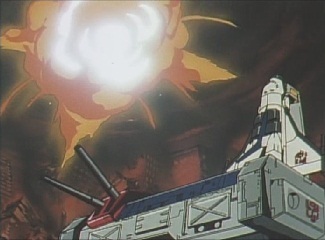 He decides to stop using the meteor bombs, and instead use the fortress cannon. 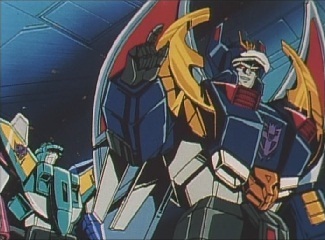 He orders Liokaiser to transform the base into "destroyer mode". 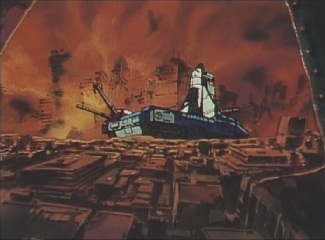 The fortress begins a long transformation sequence. 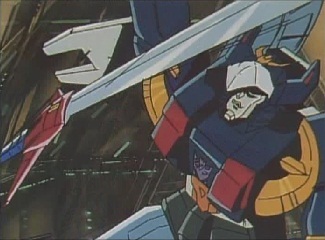 Victory Saber, who had drifted back onto the fortress after being blown away by it, falls off when the section he is on transforms. 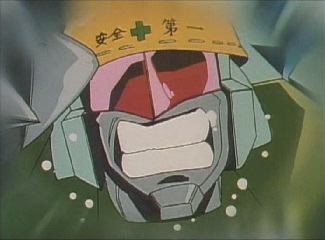 He regains consciousness and remembers about the fortress. 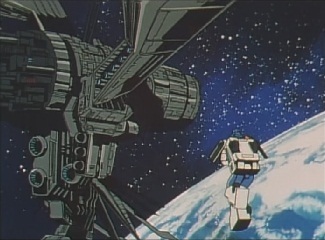 He's got to reach it, but then he realises where the fortress is. 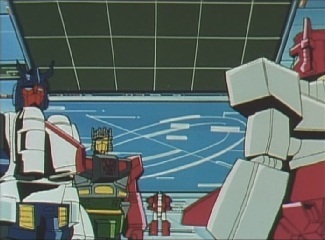 The transformed fortress looms over him. 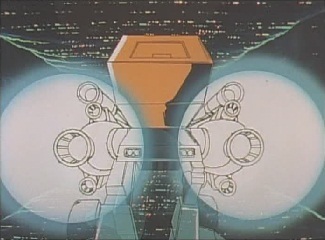 Inside, the target is set, and Deszaras has his living-metal-destroying cannon ready. 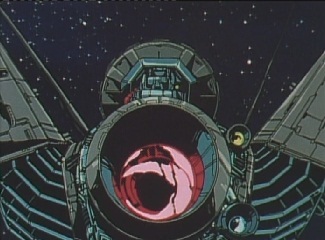 He intends to transfer a large amount of energy through his cannon, and amplify it through the fortress to unleash a shot so powerful it will completely destroy the Earth. 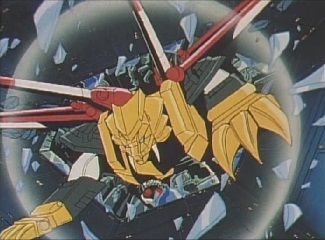 But Liokaiser then notices that Victory Saber still lives, and is heading towards the fortress. 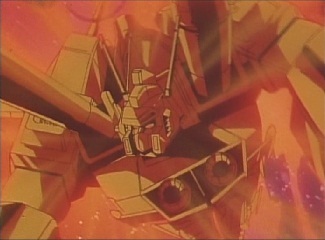 Deszaras tells Liokaiser to go out and fight him, but to only beat him close to death -he wants Victory Saber to remain alive to witness the destruction of the Earth. 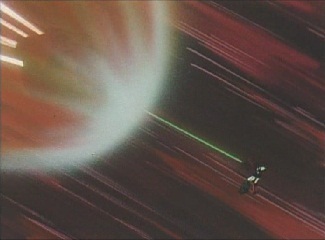 Victory Saber fires upon the fortress cannon, but his laser blasts do nothing. 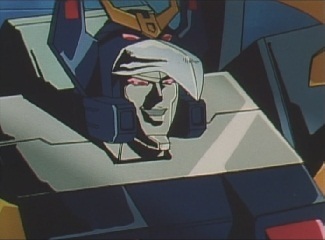 Deszaras laughs and asks if he seriously thinks he can stop the fortress with that. 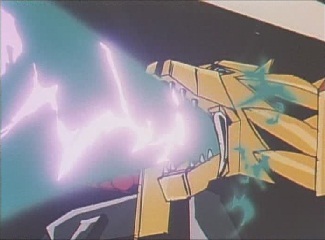 Liokaiser then appears, and starts to fight with Victory Saber. 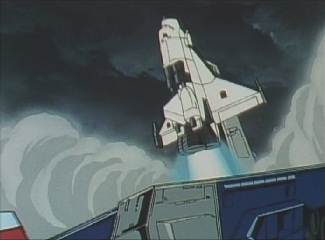 As the battle begins, Galaxy Shuttle arrives near the fortress. 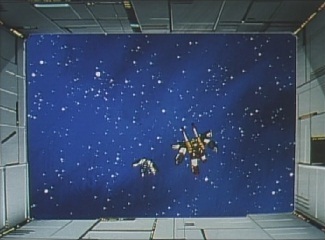 Jean and Holi head out into space and towards the fortress, telling Victory Saber they know how to stop it thanks to Gouryuu. 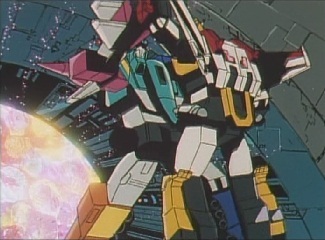 Star Saber says it is too dangerous, but he can't try and stop them because of Liokaiser. 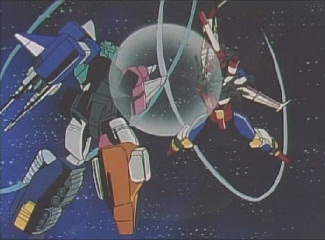 Victory Saber separates. 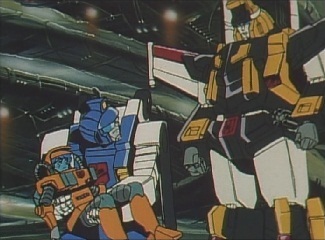 Star Saber tells Victory Leo to handle Liokaiser, whilst he goes to Jean. 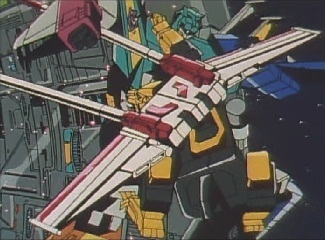 Victory Leo tosses Star Saber his gun and then tells Liokaiser to bring it. 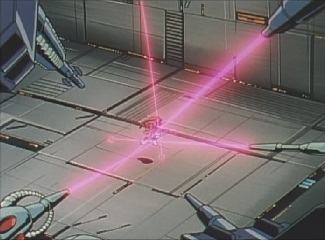 Meanwhile, as Jean and Holi enter part of the base, some automated defenses start firing on Holi, forcing him to go back. 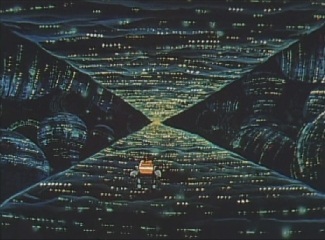 They completely ignore Jean, who continues on into the fortress via Illumina II. 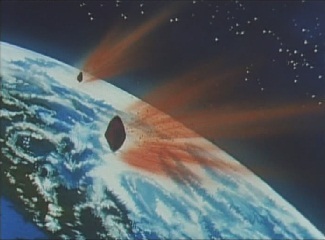 It seems Gouryuu was right, a human could get through without trouble. 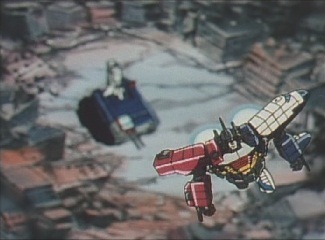 Star Saber tries to get to where Jean is, but the fortress' laser cannons are so numerous that he can't break through. 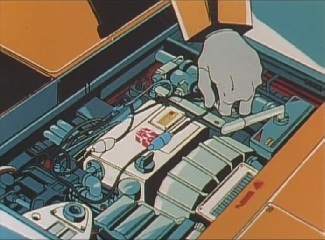 Jean has a map of the fortress thanks to Gouryuu, and heads in to where the power source is. 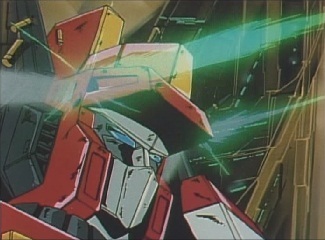 Meanwhile, Deszaras knows that in just two minutes he will be able to fire. 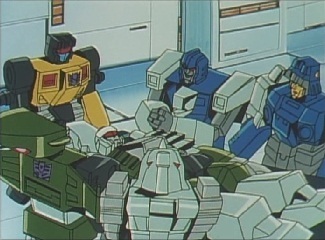 He begins to gather together the energy needed for his shot. 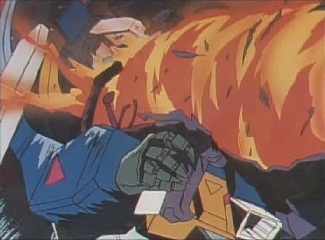 Jean finds the power source, but he realises there is only one way he will be able to destroy it. 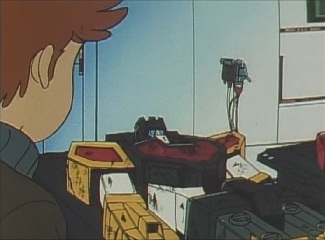 Getting out of his mecha, he sets it up so it will become a highly powerful bomb. 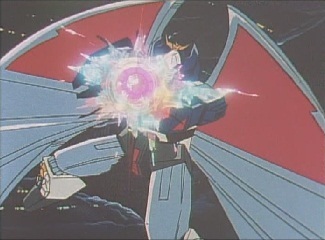 He apologises to his creation, but it is the only way he can destroy the power reactor. 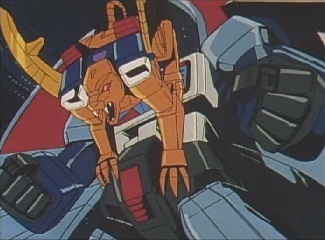 Outside the fortress, Liokaiser grapples with Victory Leo. 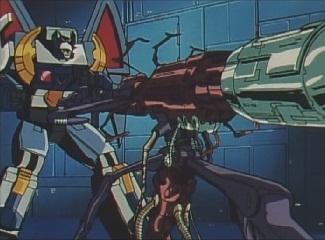 He is unprepared for his opponent's gatling guns, and gets blasted. 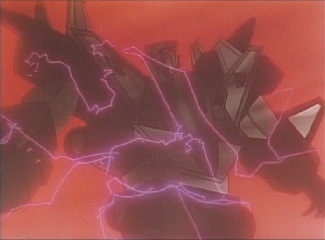 Victory Leo transforms and charges into him, biting down hard into his thigh. 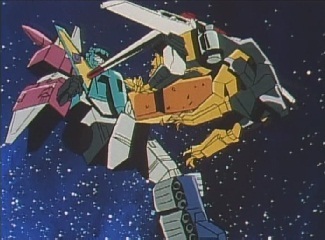 Liokaiser repeatedly strikes Victory Leo, and eventually gets him off by kicking him back. 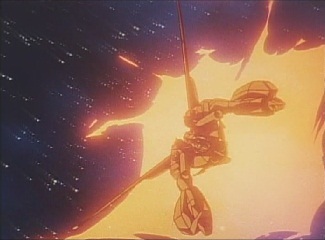 But as he does this, Victory Leo retaliates with a powerful blast of flame. 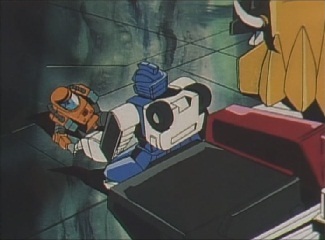 Liokaiser gets hit and ends up crashing onto the fortress cannon. 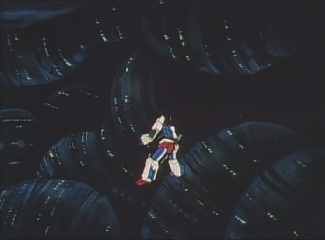 He is sent flying off into space, and weakly says his conscious is fading and he can't move. He screams for help. 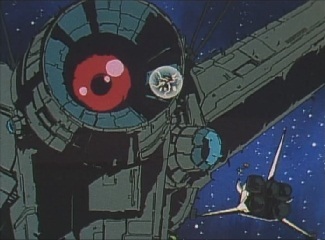 Deszaras has seen him, but does nothing. 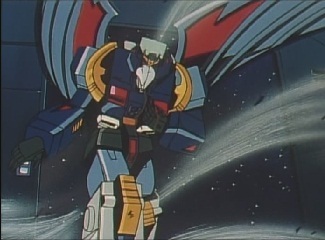 He calls Liokaiser an idiot -by coming into close contact with the cannon, he was drained of all his energy. 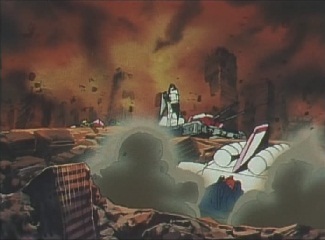 Not that his death matters, as at this rate the Earth is still going to be finished. 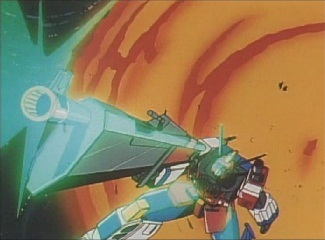 Star Saber still can't break through the defenses, as Deszaras prepares to fire -there is only 10 more seconds to go before he can. 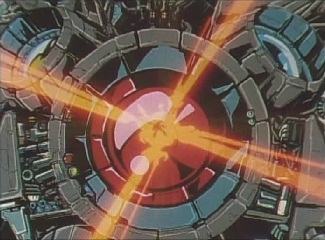 But at the reactor, Jean finishes his work on Illumina II, and sends the mecha off straight towards the power source of the fortress. 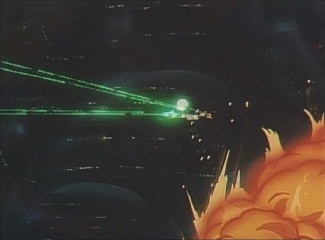 Illumina II hits the target and explodes, causing several larger explosions which blow Jean away. 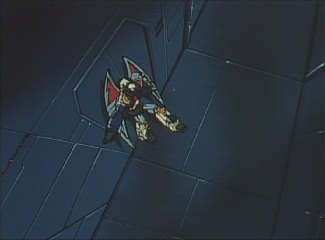 Deszaras realises everything is powering down, and wonders what happened. 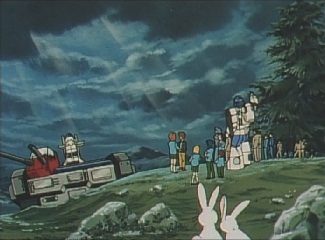 Outside, the automated cannons suddenly stop firing, as Star Saber realises that Jean must have stopped them. 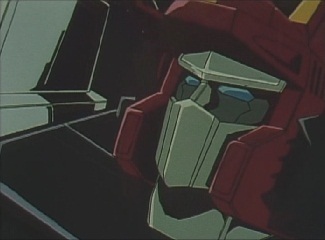 He heads inside the fortress to find him. 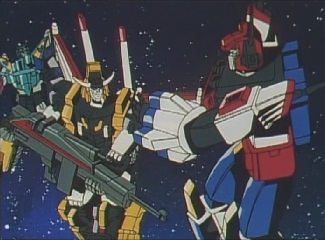 Star Saber just misses Jean as the two pass each other. 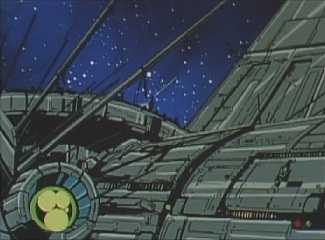 He heads deeper into the fortress, yelling Jean's name, but Deszaras then appears -how dare he enter his fortress! 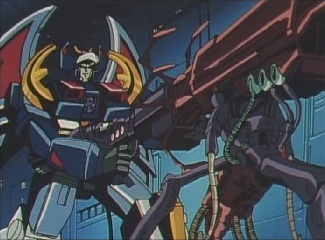 The two start firing on each other, but eventually both of them lose their guns. 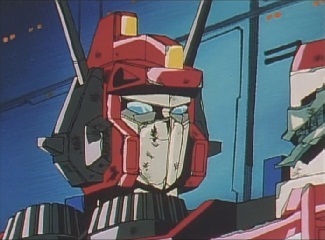 ...which blow them both away. 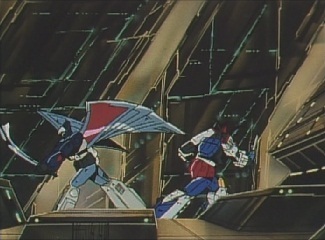 Star Saber then charges directly into Deszaras, and the two smash through a ceiling. 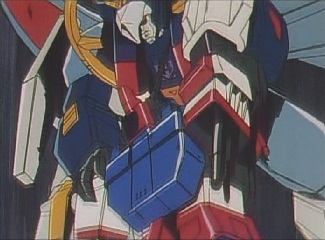 Deszaras charges forward, but Star Saber throws his saber blade at him. 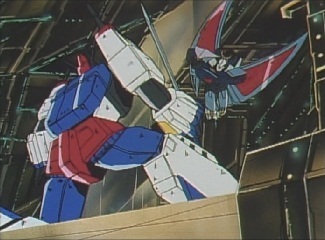 Deszaras uses his own sword to smack it out of the way and avoid being hit, but Star Saber uses this distraction to fire upon him. 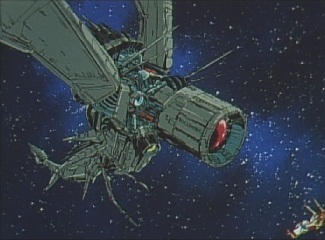 He shoots out one of Deszaras' eyes, and then leaps up, yelling that he challenges him. 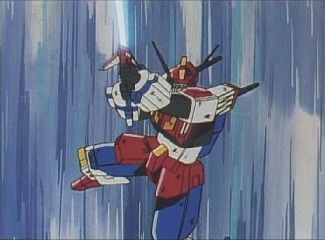 He uses a technique "planetary impulse sword", to power up his weapon. Deszaras just screams and also charges forward. 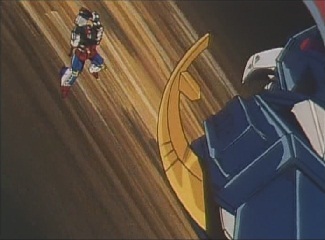 The two clash, as the battle comes to an end. 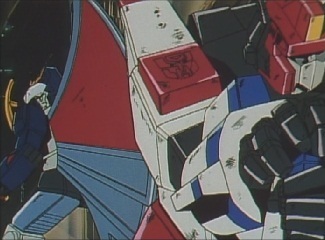 Star Saber drops to his knees, but Deszaras turns around and curses him. 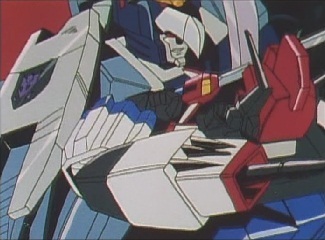 This is because Star Saber has successfully stabbed into him with his sword. 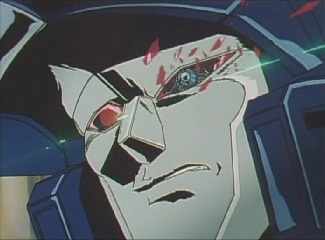 He deceived Deszaras' hampered death perception from his non-functional eye, and allowed his own sword to be broken. 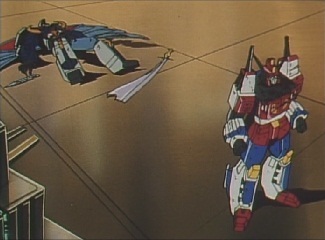 Deszaras removes the sword, and swears he hasn't lost yet, but then falls over and dies. 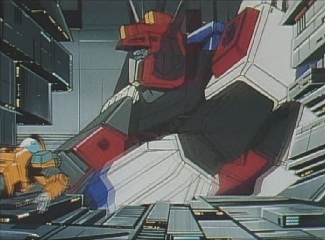 Star Saber gets up and resumes his mission of finding Jean. Victory Leo and Holi enter the fortress to try and find Jean. 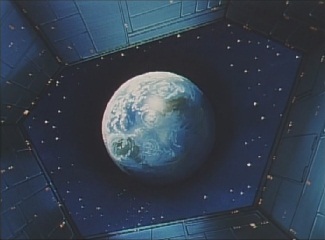 He wakes up to see the two Cybertrons looking at him, and is glad to find out that the Earth still exists. 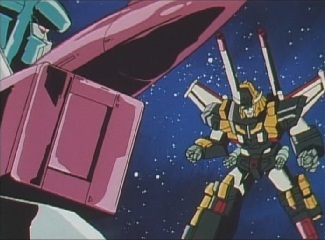 But he doesn't know what happened to Star Saber, which concerns Holi as he went in before them to find him. 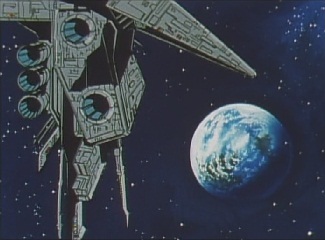 Victory Leo tells them to go back to Galaxy Shuttle, as he will look for the Supreme Commander. 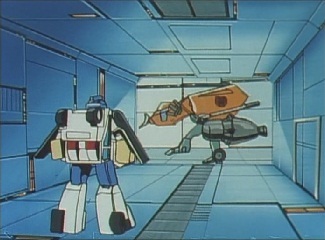 Star Saber is still looking for Jean, and enters a room. 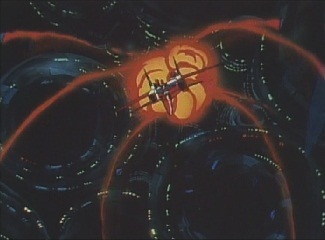 But then suddenly all the doors across the fortress lock, as an image of Deszaras appears! 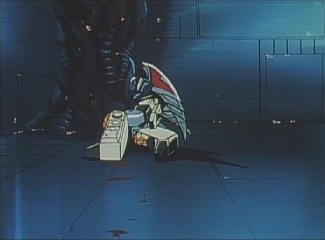 He has not died, and has managed to crawl over to a comms unit. 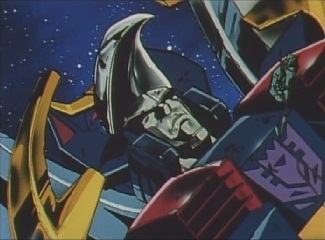 He tells Star Saber he should not have thought he won, as he won't die like this. 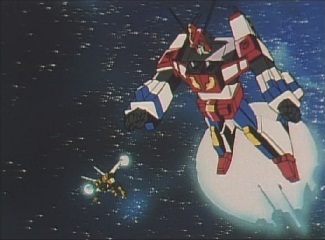 If he's going down, Star Saber will be coming with him, as will all of the population of the Earth. 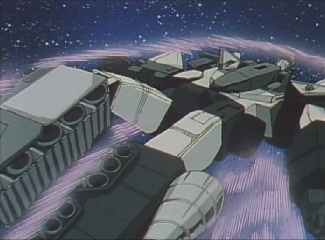 As a present to him, Deszaras has set the fortress to move forward, ramming it straight into the planet. 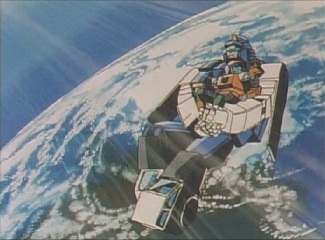 He will get to see the destruction of the Earth as he himself is destroyed. 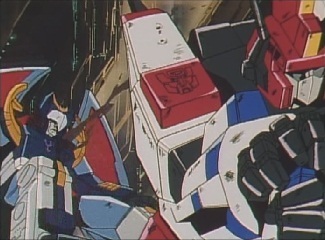 Deszaras tells him to die, and then ends the communication. 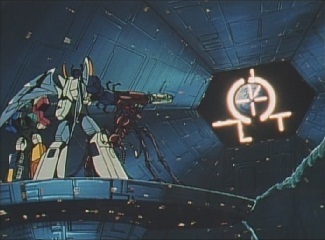 He walks over to an air lock, saying he will not die. 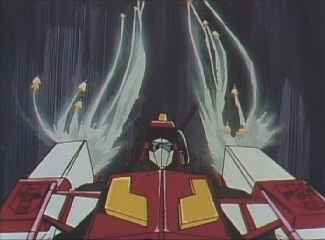 He will return, again and again, until the entire universe is within his grasp, until the Cybertrons are defeated. 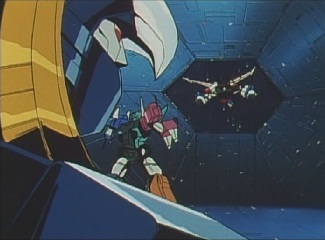 Deszaras opens the air lock and allows himself to be sucked out into space. 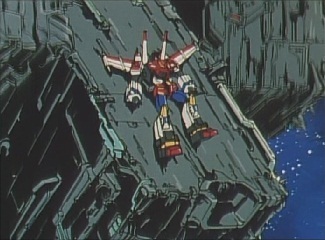 His lifeless body drifts into the void, and soon, he is gone. 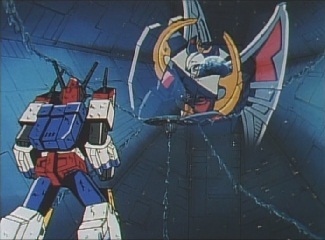 Star Saber tries to blast down the door, but it won't work. Victory Leo contacts him, so he explains what is about to happen with the fortress. 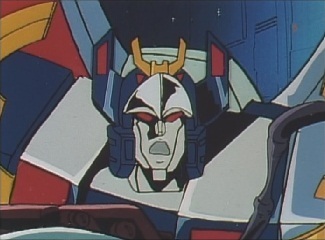 Jean contacts him and says he's outside, but tells Star Saber to get out. 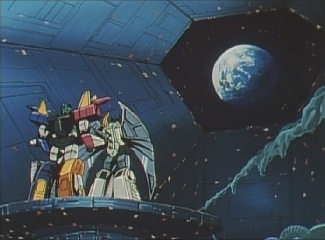 Star Saber says he must destroy this fortress, even if he has to self-destruct to do it. 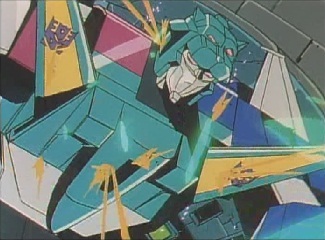 Victory Leo tells him not to be so hasty, as he has locked onto his position and comes crashing through the view screen. 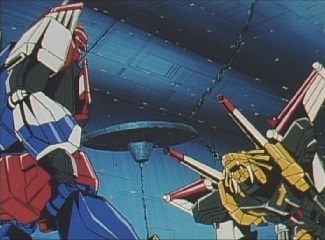 Star Saber asks Victory Leo to entrust him with his life. 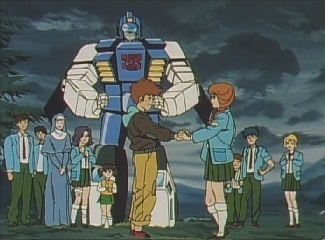 They will protect the Earth no matter the cost, and they transform and unite. 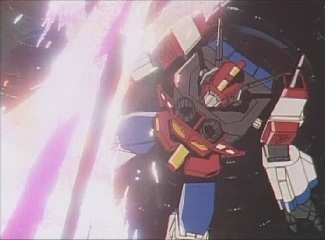 Victory Saber charges through the base, using every weapon he has to cause as much damage as possible. 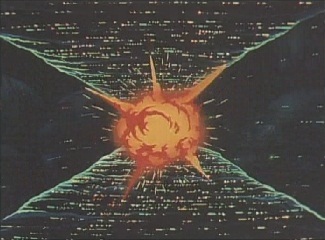 The interior of the base is heavily damaged, as Victory Saber breaks through it and heads out into space. 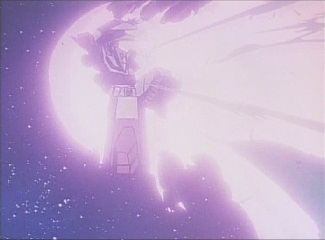 His entire body glows, as he heads back towards the fortress in robot mode. 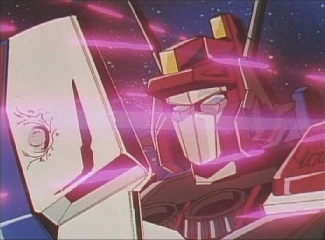 He concentrates all his energy, saying he will release it when he is inside. 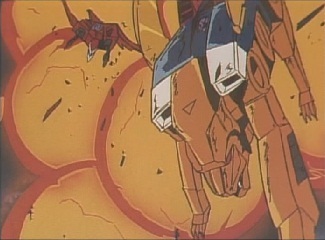 He collides directly with the fortress' main cannon, flying straight through it. 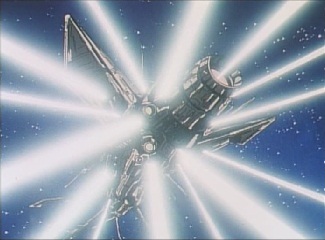 Seconds later, the fortress starts to glow, as several streaks of light emit from it. 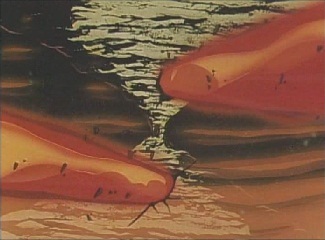 Holi and Jean stare at the fortress, which explodes into nothing. 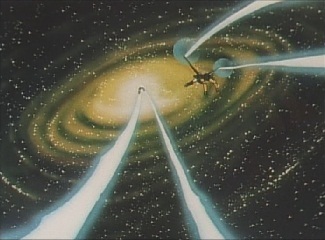 They board Galaxy Shuttle and arrive back on Earth. 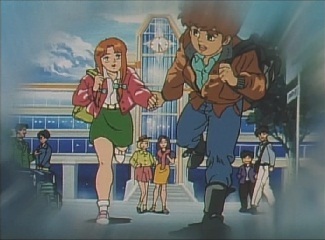 They then head to where Jean's school is. 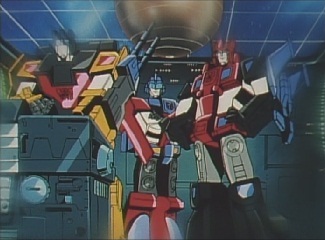 The three Brainmasters, Blacker, Braver and Laster have become Commanders of the Sector One Force. 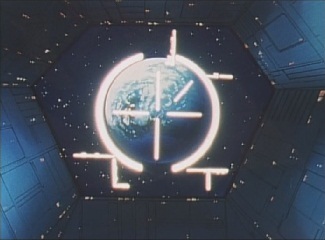 The Multiforce were assigned to the Vega Sector, where they were promoted to governors. 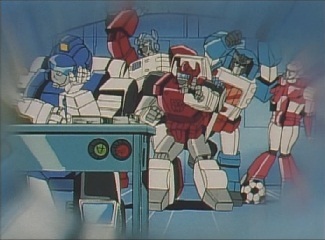 The Rescue Team are back on Micro, where they are fooling around -as usual! 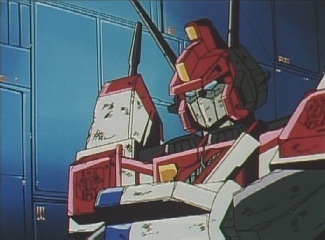 Greatshot has returned to being a mercenary, but his whereabouts are unknown since the Silvart War. 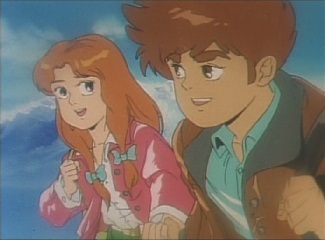 Jean is sure he is still alive, though! 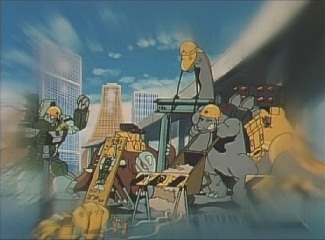 Gouryuu has become a construction foreman on Earth, and his troops are of course still with him. 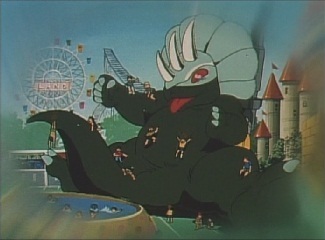 Kakuryuu is a main attraction at an amusement park, and he's very popular with children. Jean and Illumina have moved up to the next grade, and are still in the same class. 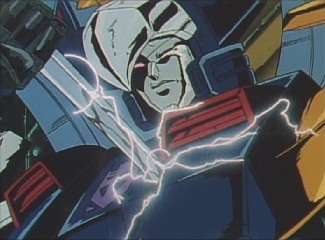 And as for Star Saber, he's more active than ever as the Supreme Commander of the Cybertrons! 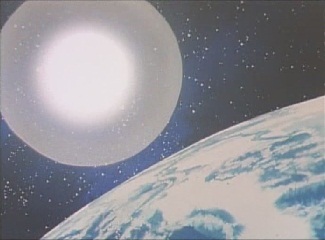 This episode does not have a short preview at the start of it, and is only one of two episodes to not have one -the first episode being the other one. 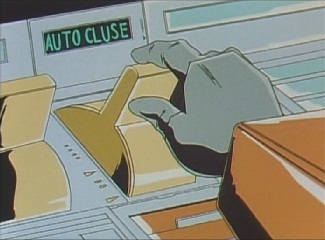 When Jean blasts off in Galaxy Shuttle, he flicks a switch which should say "AUTO CLOSE" but close is spelt "CLUSE".